comes from a well 166 ft deep into the Precambrian Shield. Located 4 miles west of Schreiber, a railroad community at the top of Lake Superior, this water has been trapped for over 570 million years. This area is one of the few places in the world where clear, natural water can be found. Our Spring Water comes in a variety of convenient sizes. 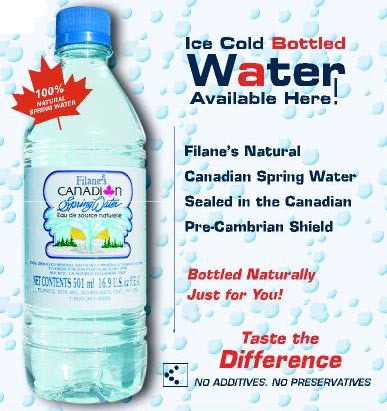 Have it delivered right to your door in Ontario, from Kenora to Toronto.